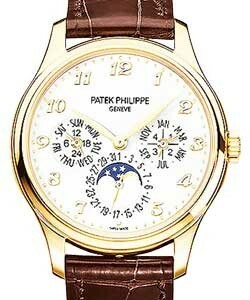 This watch is also known as: 5039G , 5039G-001 , 5039G/001 . 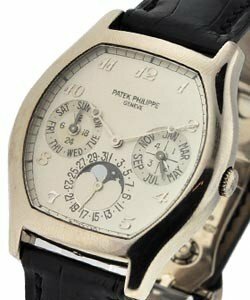 Patek Philippe Complicated "Perpetual Calendar" 18kt White Gold Mens Watch. 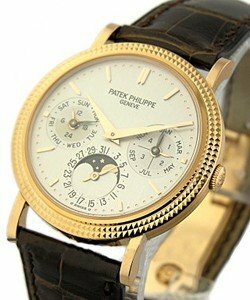 This magnificent Patek Philippe Complicated "Perpetual Calendar",5039G features a 18kt white gold case with hobnail patterned bezel. Black crocodile strap. 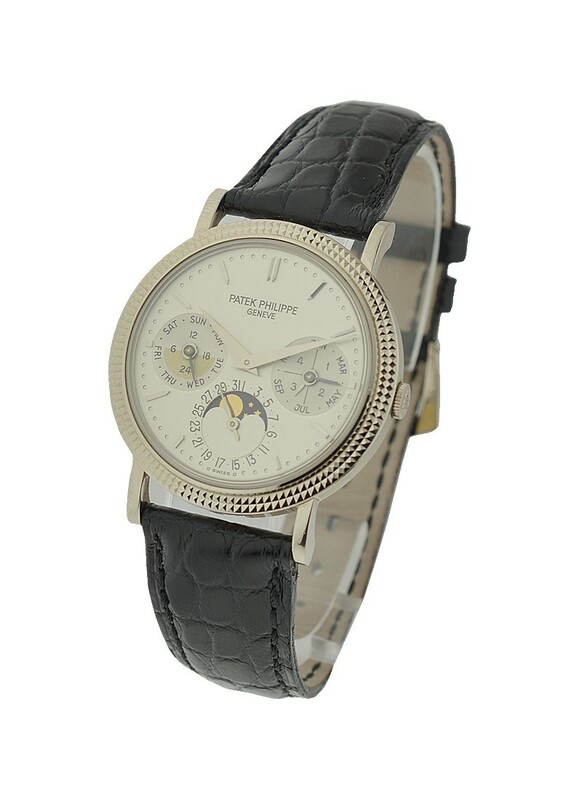 White dial with index hour markers. Day, month, and 24-hour indicators. 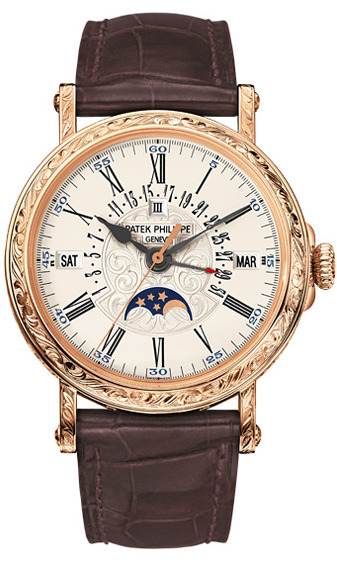 Moon phase dial with leap year cycle. Deployant buckle. Sapphire crystal and caseback. 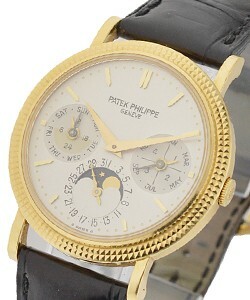 48-hour power reserve. 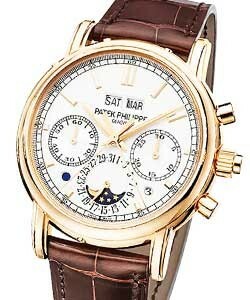 All in all,Patek Philippe Complicated "Perpetual Calendar" is a great watch, perfectly suited for daily use.